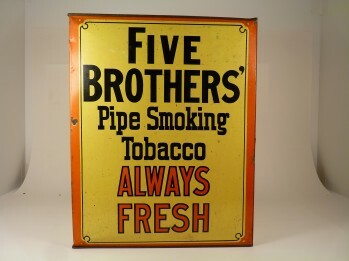 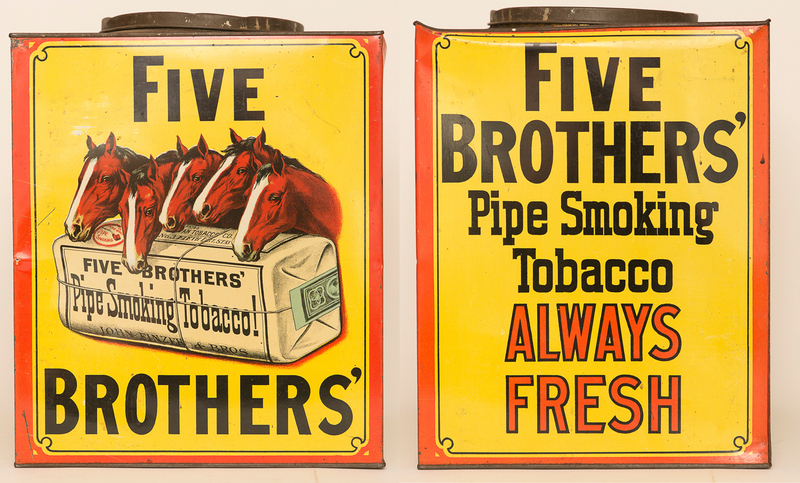 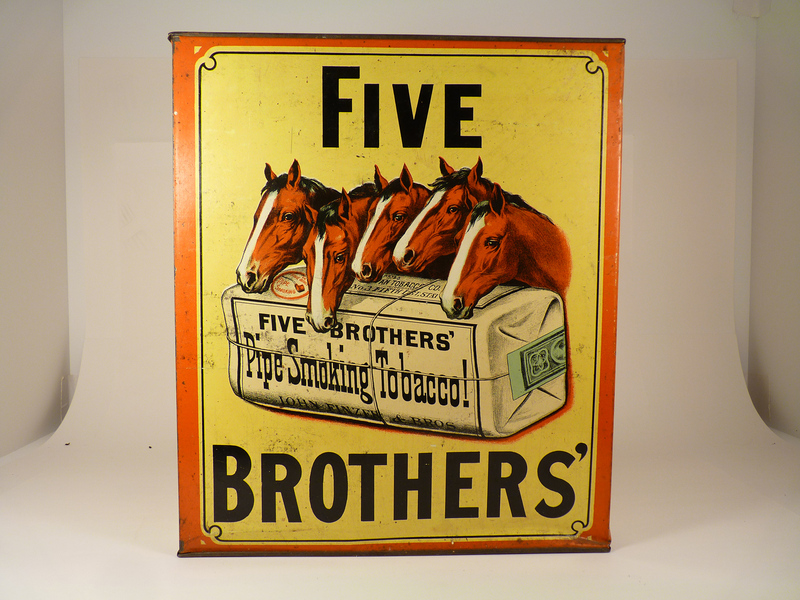 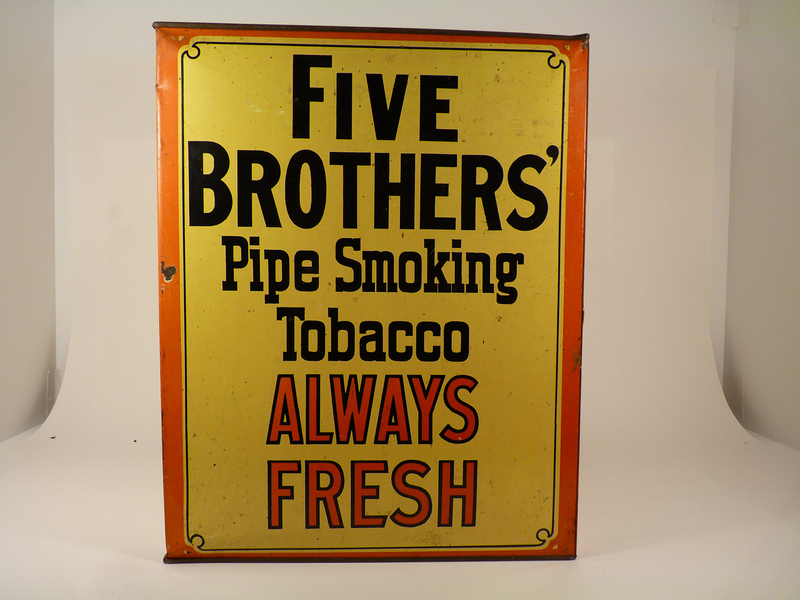 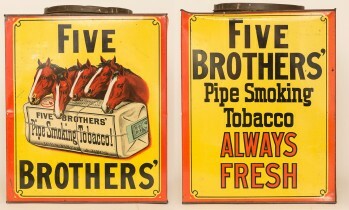 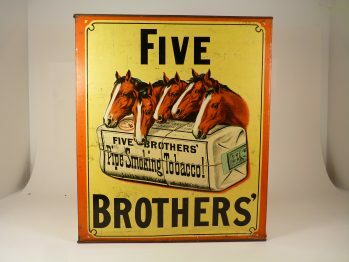 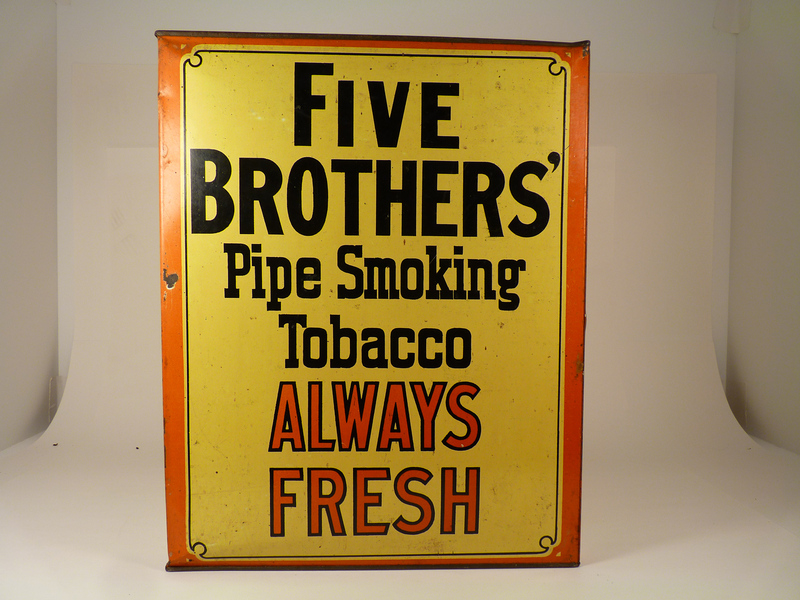 Country Store Counter Top Display Bin for Five Brothers Pipe Smoking Tobacco with advertising copy on two sides, and images of 5 Horse Heads with Tobacco Packs on the others. 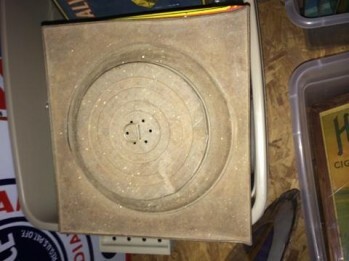 Condition is excellent with bright colors and luster. 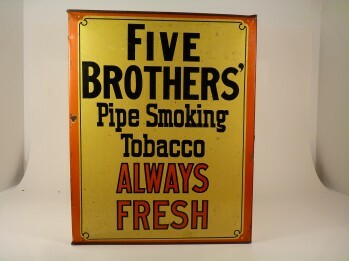 Minor denting. 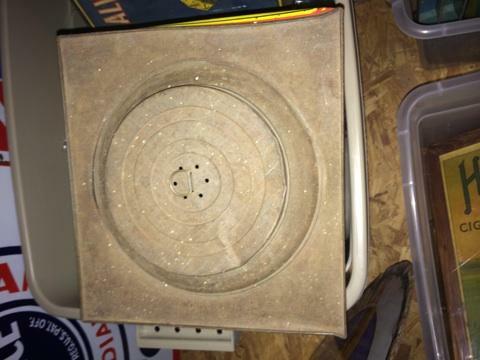 Size: 9.5" x 9.5" x 11"